A little magic for their feet from day 1, naturally dyed organic wool baby booties with a natural veg tan leather sole. 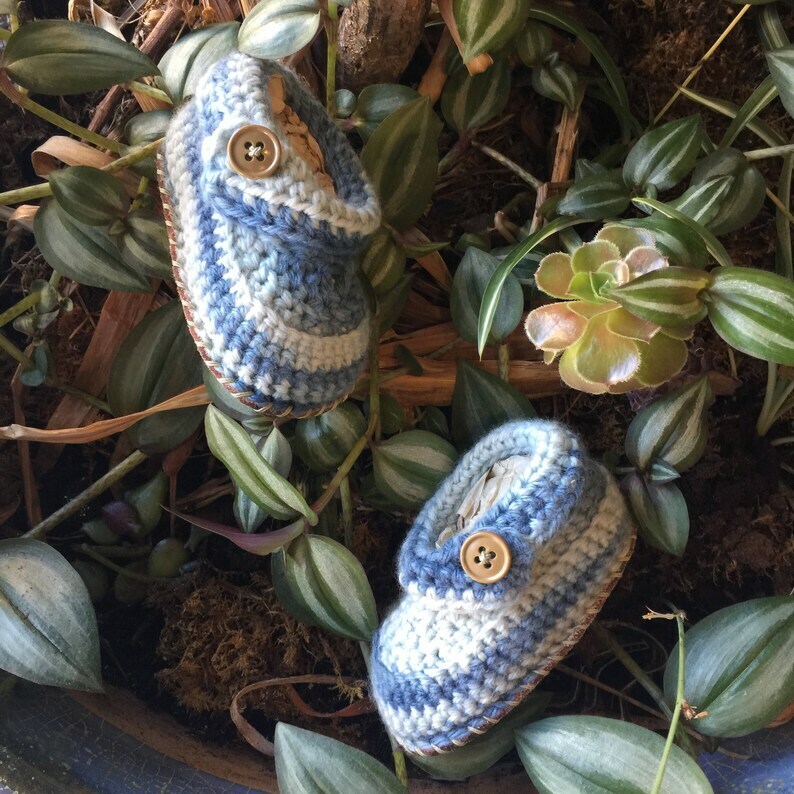 These baby booties will be warm and adorable with any outfit! These are made to order and currently available in 5 naturally dyed colors; Indigo, grey, pink, yellow, and olive green. We can also add a custom name monogram- just let us know in the buyer's note at checkout! ~crocheted bootie available in three sizes: 0-3 months, 3-6 months, and 6-12 months. ~button closure keeps them secure on the feet! These are a made to order item and require 2-3 weeks for create, and then shipping time to your corner of this beautiful world. Please plan accordingly when ordering, and thanks for your support of the handcrafted process! Spot clean only. Do not wash or dry clean. Let us know if this is a gift! We'll wrap and include an appropriate gift tag for you! Proudly handcrafted in Grand Rapids, MI USA. Lovely item. Unique. I wanted it for Valentine's Day but received it one day later, all is well. Owner of shop was in good contact with me throughout. Would order again. 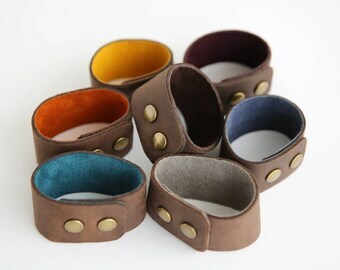 These leather mug cozies are super fun and well made - the leather is really sturdy. Thank you so much for the expedited shipping! Smaller than expected.....good leather ! Please remember that all pieces are made-to-order unless otherwise explicitly stated in the listing. A processing time is listed for each item- this is how long it takes to make your item, and shipping is additional time on top of this. We apologize for any inconvenience, and if you simply can't wait that long, please visit one of our stockists to see our product in person. Our stockists list is available at our website, www.littlewingsdesigns.com. 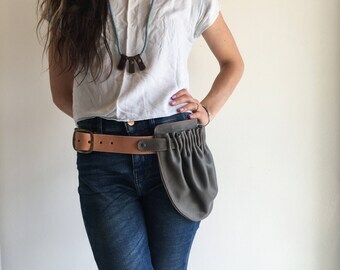 Due to the handcrafted nature of Littlewings Designs products, all sales are final, with the only exception being a wrong size or a fundamental defect in the item; in this case, an exchange for the proper size or a replacement of the product will be offered. Once an item is shipped, it is considered by littlewings designs to be delivered. The buyer may purchase additional insurance for their item if desired; please contact me and I will happily make a custom invoice for you. Otherwise, items lost in the mail after initial shipping are the responsibility of the buyer. Custom item and wholesale order sales concerns are dealt with on a case by case basis. Please contact me with your concerns and we will try to come to an amenable solution as quickly as possible. Once an item is shipped, you will be contacted with shipping carrier and tracking information. Within the United States, all items unless otherwise noted are shipped via USPS Priority Mail with insurance and Delivery Confirmation. We are now offering international shipping. International shipping prices vary by country, and our most common destinations have individual prices listed. These are generally sent First Class Parcel Post via USPS, and take 2-4 weeks to arrive. Please allow for this in your ordering. Shipping prices also include handling at LWD. This means that the boxes and paper are also a part of the shipping charges, as we would never want someone's lovely leather to arrive with any damage. That said, if a shipping price charged is deemed considerably out of line, you may receive a partial shipping refund. Please know that all items are posted with receipts and delivery confirmation records kept on file with each order. Once an item has shipped, it is the responsibility of the buyer, and Littlewings Designs is not to be held accountable for items lost in the mail. Applicable insurance covers large items lost within the USA. Buyers are responsible for ensuring accurate and complete shipping information when they make their purchase. Littlewings Designs is not liable for goods returned or lost in the mail due to any errors in address information, including those for international orders. Please be sure to include the correct information with your order! All international duties, taxes, fees, or any other charges for imported goods, are the sole responsibility of the buyer.